Over $4 billion in losses requires a drastic re-think. Twenty years ago, Daimler took a gamble by starting its Smart division, believing car buyers would soon want a car that could be easily maneuvered and parked in busy cities throughout the world. 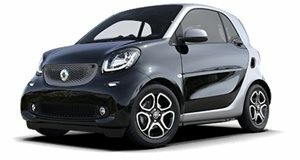 Unfortunately for the German automaker, cars like the Smart ForTwo never caught on as hoped. Today, the brand’s future isn’t look too bright. But there may be one last ray of hope. reports that Daimler is about to change Smart’s top management, forcing out current CEO Annette Winkler, who’s run the company for the past eight years. No word yet on her replacement, but it’ll need to be somebody who firmly understands what’s needed to not only fix Smart, but also to turn it into an EV-only brand. The idea is to turn it into sort of an urban version of Tesla. As we already knew, . As an EV-only brand, the goal is to capitalize on the growing acceptance of pure battery-powered cars along with the ever increasing congestion plaguing the world’s major cities. 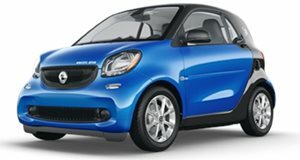 Daimler obviously hopes this plan will work, especially since Smart has reportedly racked an estimated $4.6 billion in losses. In other words, it’s make or break time. However, Smart has been beneficial for Daimler because it’s a quirky brand allowing for experimentation, as well as helping it offset the emissions from gas guzzlers like the AMG GT. As point outs, for example, the G-Class SUV (at least the previous generation) produces almost three times the C02 as the Smart ForTwo.